Chuck Schuldiner was born on May 13, 1967 on Long Island, New York to a Jewish father of Austrian descent and a mother from the American South, a convert to Judaism; both his parents were teachers. In 1968, his family moved to Florida. Chuck was the youngest of three children. He had an older brother named Frank and an older sister named Bethann. Schuldiner started playing guitar at the age of 9. His 16 year old brother had just been killed in an accident and his parents bought him a guitar, thinking it would help with his grief. He took classical lessons for less than a year in which his teacher taught him "Mary had a Little Lamb", which he didn't like very much, and almost stopped completely, until his parents saw an electric guitar at a yard sale and bought it for him. The young Schuldiner immediately took to the instrument. After getting amps, he never stopped playing, writing and teaching himself. Schuldiner was known to spend the weekend in the garage or his room playing his guitar, but was limited to three hours on weekdays when school was in session. Schuldiner first played in public in his early teens. Schuldiner was originally inspired by Iron Maiden, Kiss and Billy Idol, among others. 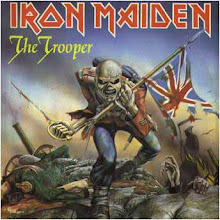 He was particularly interested in the metal movement known as NWOBHM - New Wave of British Heavy Metal - and cited bands of that genre among his favorites. He frequently cited French band Sortilège as his personal favorite metal group. Slayer, Possessed, Mercyful Fate/King Diamond and Metallica were later influences he would apply more to his own band. Later in his career, Schuldiner frequently cited progressive metal bands such as Watchtower and Queensrÿche as influences. Official Schuldiner website, Empty Words, quotes Chuck's mother making the claim that he enjoyed all forms of music except country and rap. He also apparently particularly enjoyed jazz and classical music in addition to metal and British alternative acts such as Lush. 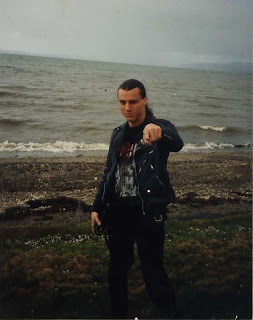 Schuldiner performed well in school, however, he became bored with education and eventually dropped out. He later regretted this decision. Schuldiner was not afraid to take on controversial lyrical subjects such as the anti-drug sentiments of "Living Monstrosity" and abortion in "Altering the Future"